Home » Brochures » Because you demand fast, non-stop, highly sensitive hit screening. 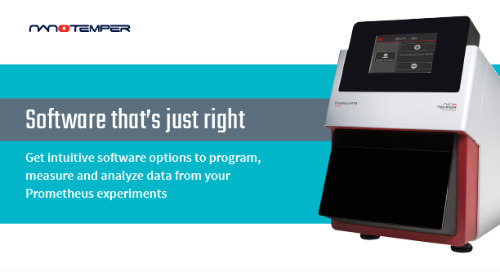 Find hits for any target type in any buffer or bioliquid, measure the tightest interactions down to picomolar Kds, all by consuming the smallest amount of your target and library compounds. There’s no fluidics which means no regular maintenance and no downtime. With Dianthus, get the fastest time to meaningful results with no immobilization required, because you demand it.